Foliage Type: Simple, ovate, diamond-shaped leaves. Single whorl of three leaves just below the flower. Leaves can be up to 7 inches long with net veining. 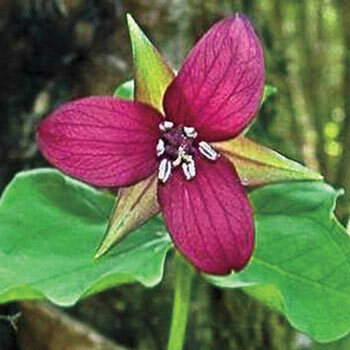 Flower Form: Single nodding flower about 2.5 inches wide. Features three maroon to reddish brown petals. 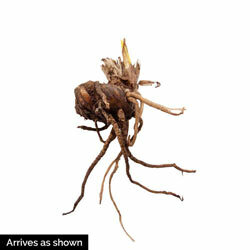 Planting Instructions: Plant so that top of root should be 1'' below soil line. Be sure to plant in rich soil and that plant receives ample sunlight early in growing season. Soil Requirements: Moist to wet, well-drained soil. Additional Information: May be poisonous if ingested.